Samsung has unveiled a prototype of its next-generation smartphone and, well, it leaves a lot to be desired. In fact, that's probably too kind – this is a truly ugly phone. The South Korean technology company offered an early look at the upcoming hardware during the annual Qualcomm Snapdragon Summit in Maui. The handset was unveiled as part of a 5G demo at the event, following the news that Samsung has partnered with US carrier Verizon to bring a 5G-compatible phone to market early next year, and with AT&T to launch another in the second half of 2019. According to the latest whispers from inside the company, Samsung will support 5G networks with the top-of-the-line flagship Galaxy S10 Plus. This handset is also tipped to sport an Infinity-O style display, which has a small circular cut-out to house the front-facing camera lens – the only break in an otherwise all-screen design. Unfortunately, that's not quite what we saw with the prototype device. Instead, we got an egregious, sweeping notch that dominates the top right-hand corner of the smartphone display. And this from the company that publicly mocked Google Pixel 3 for its notch design. Oh, Icarus. 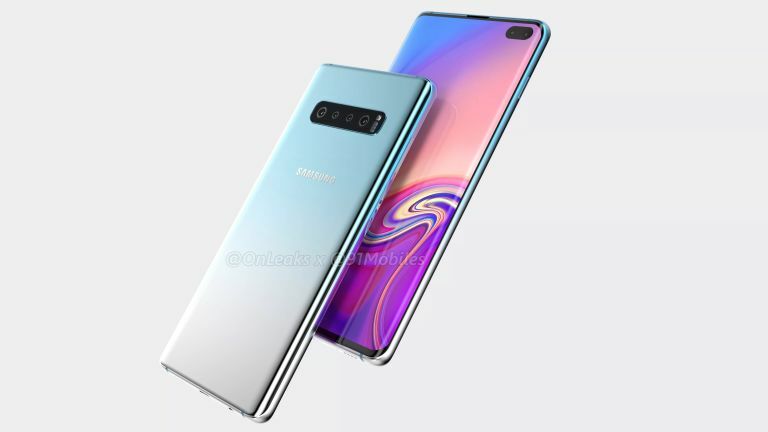 Thankfully, this is not guaranteed to be the design that appears on the finalised Galaxy S10 and Galaxy S10 Plus when the new handsets launch next year, most likely during the Mobile World Congress tradeshow in February. In fact, Samsung Senior Vice President Justin Denison told TechRadar: "You should think of that device as a sample device. Not necessarily indicative of what the final device will look like, its size, shape, or even the UI treatment." Earlier this year, Samsung mobile chief DJ Koh promised that the forthcoming Galaxy S10 range will feature "very significant" design changes compared to the Galaxy S8 and Galaxy S9, which shared a lot of DNA. Regardless of how much of an eyesore the prototype 5G-compatible Galaxy S10 is – and make no mistake, it is an eyesore – this is still a significant announcement. Samsung has confirmed plans to launch a 5G compatible smartphone next year, and revealed which US mobile carrier will be first to support the superfast new handset. Samsung is the biggest smartphone vendor in the world, so this announcement will help to increase the speed of adoption of the new faster network speeds. That's crucial given that Apple plans to wait years until it supports 5G with the iPhone.